Twenty years ago, Rusty Estes couldn’t hit a wedge shot. 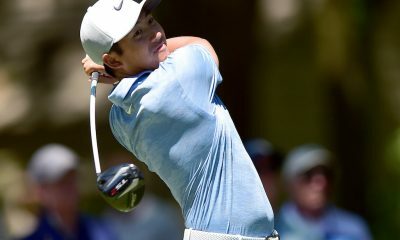 Actually, he was a 16-year-old who could hit a lot of different wedge shots for a boy his age, but there was one shot in particular he couldn’t hit. 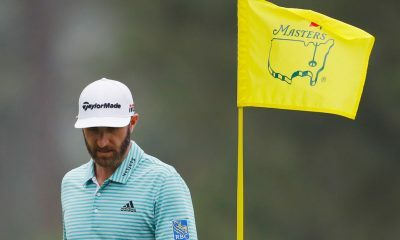 Estes noticed that when he attempted to hit low-flying, high-spinning chip shots around the greens, which he tried to do with a square club face and a short, speedy action, that the trailing edge on the toe of his wedge would catch the grass, which slowed the club down. 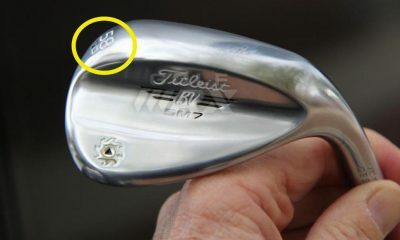 That loss of speed cost Estes the spin he was looking for, which is why he took his wedge to the maintenance facility at the course where he worked at a began grinding down the troublesome area of the sole with a stone grinder (the same grinder the maintenance staff used to sharpen the blades of its equipment), until the wedge slid through the grass the way he wanted. Estes didn’t know it then, but that day was an important one for him. 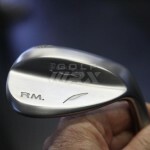 He’s now one of the most respected grinders on the PGA Tour, and has spent most of the last eight years as the director of Tour operations for Fourteen Golf, a Japanese golf equipment manufacturer known for its high-quality wedges and irons. 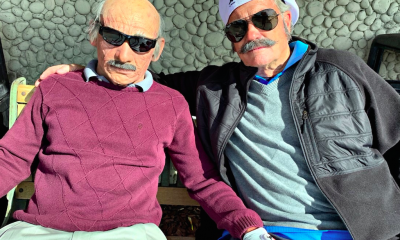 Our Zak Kozuchowski had a chance to talk to Estes about Fourteen Golf, the difference between cast and forged clubs and what he’s learned about wedges in the last 20 years. ZK: You’ve come a long way from that stone grinder, Rusty. 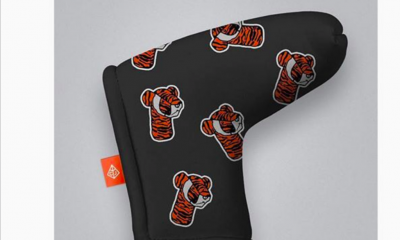 What are you using now to shape clubs? 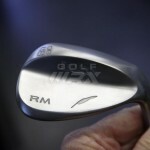 RE: I have a several different tools that I use to achieve the shapes that I am looking for in creating our wedges. I do the majority of my shaping on a variable speed Burr King (1.5 inches by 60 inches), using sanding belts ranging from as low as 40 grit to as high as 200 grit. The sanding belts get me the overall shape that I am looking for and I use four different versions of 3M scotchbrite belts for the polishing aspect. From there, I hand finish each of my custom grinds by hand, assuring the finish that the player is looking for. 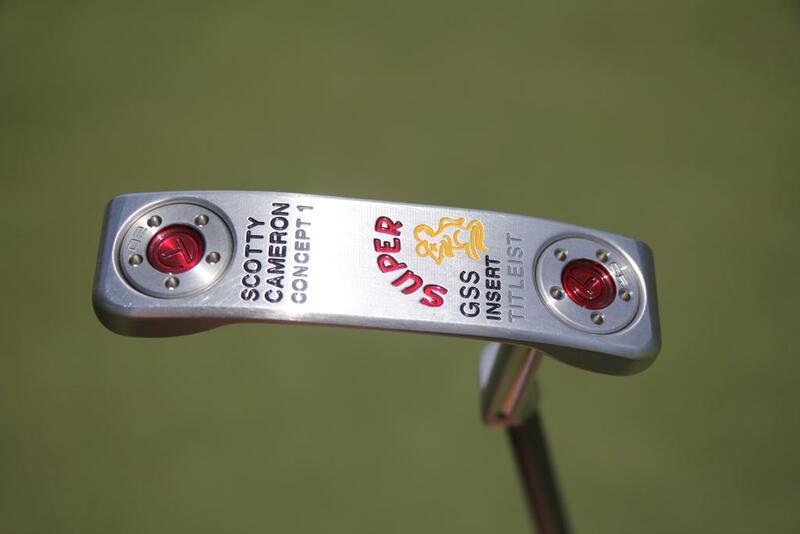 ZK: Your company, Fourteen Golf, gained notoriety in the United States in 2002 when its HI-858 driving iron was used by Ernie Els to win the British Open. 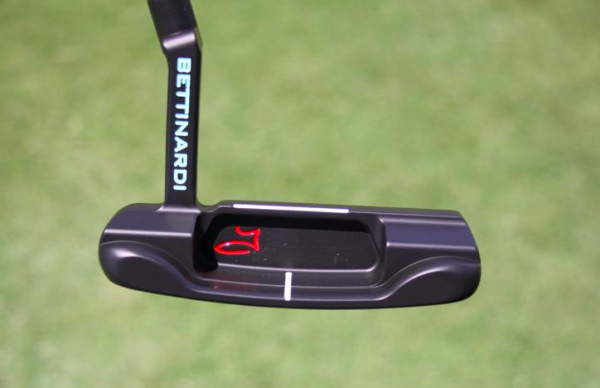 The HI-858 and its follow up, the HI-660, also found its way into the bags of many other Tour players, including major champions David Duval and Justin Leonard around that time. 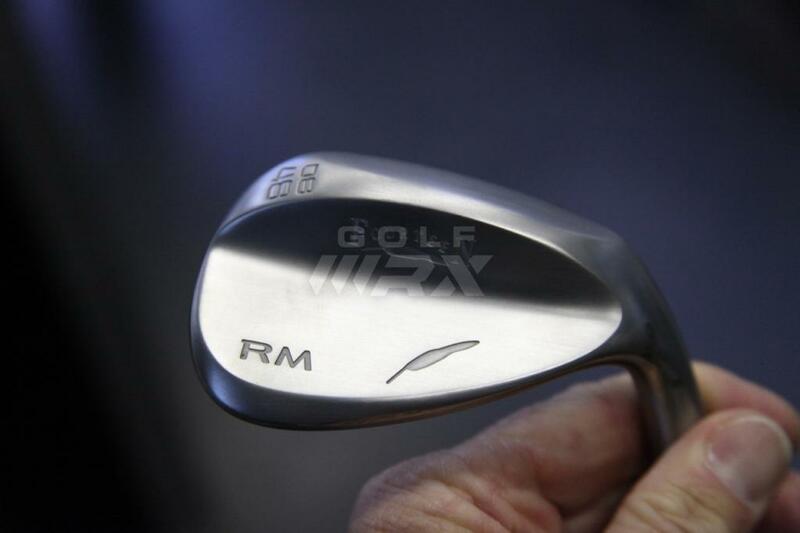 Just a few years later, however, the company decided that it wanted to focus on wedges. Why? RE: Trends of new product development. 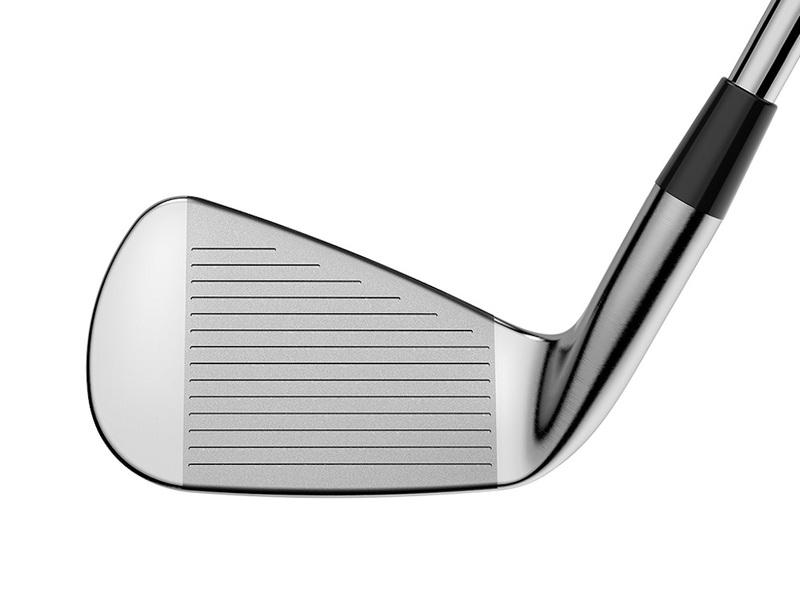 At the time of the introduction of the HI utility irons, very few OEMs offered a true long iron replacement club. 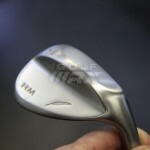 The replacement was often found in the form of a high-lofted fairway metal. 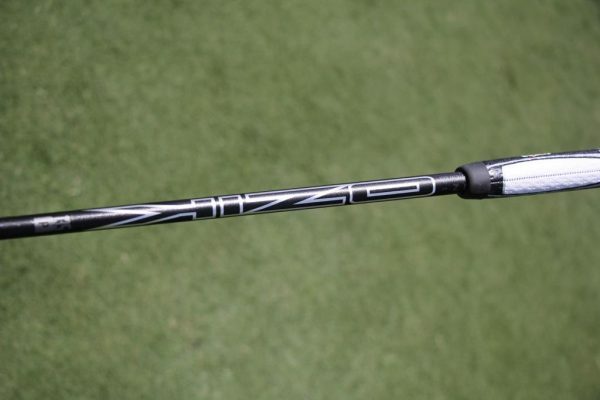 The HI provided an option that allowed players a replacement that was easier to hit and control versus the fairway metal. 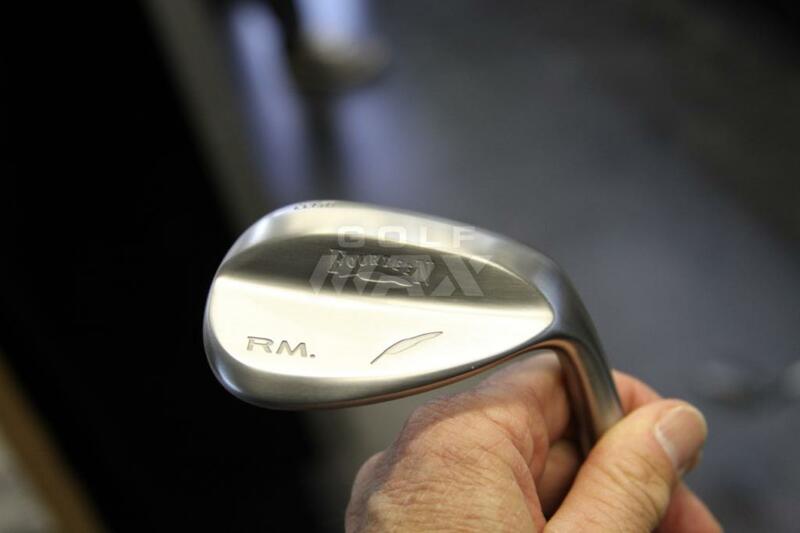 Since the HI’s introduction to the Tour, several OEMs developed a “hybrid wood,” and those products have become extremely popular among professionals and amateurs. 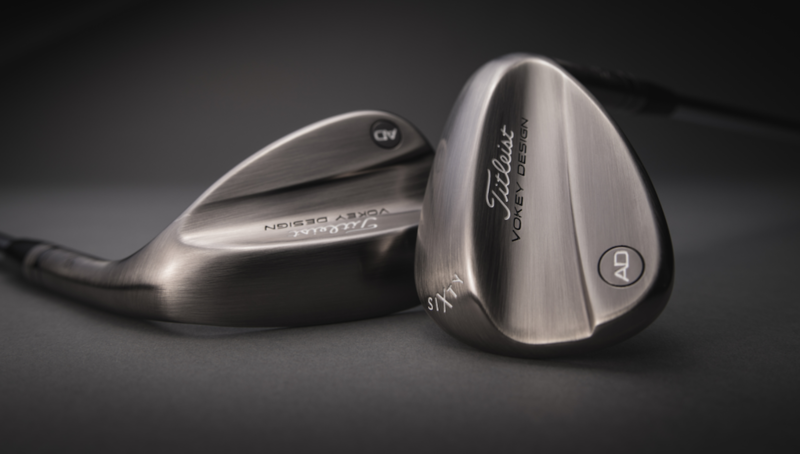 With this new trend, we had an opportunity to redirect our focus and efforts into our wedges — wedges that already had a huge following on the Japanese and Asian tours. 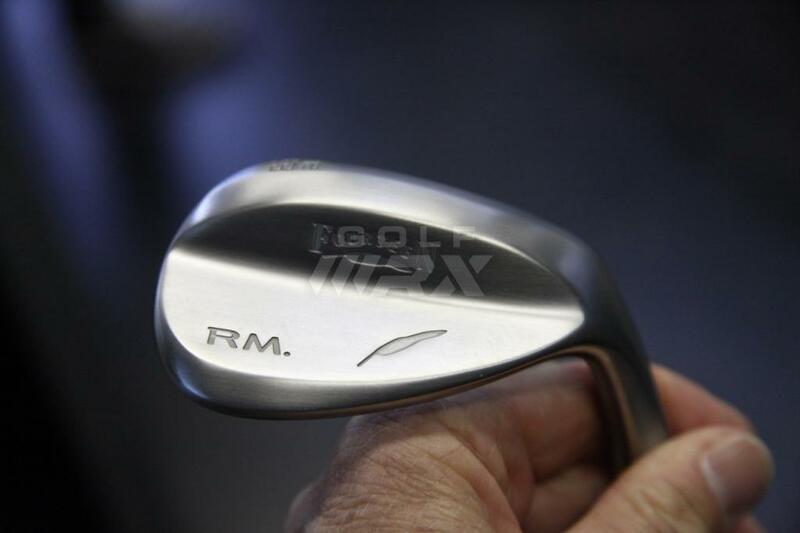 We worked extensively with our R&D team in Japan to design and develop a series of wedges that PGA Tour players would find appealing and carried tremendous performance. 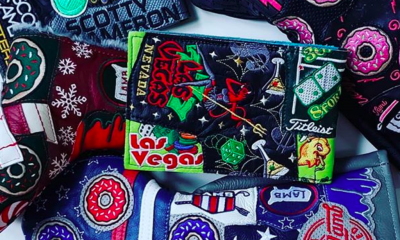 Plus, Fourteen Golf is a full-line equipment company. Wedge provided us an avenue to further introduce our products and develop our brand as a full-line OEM. ZK: Aside from grinding, one of the most important parts of your job as director tour operations is identifying talented players on the tours who can serve as ambassadors for the Fourteen brand. What makes you favor one player over another? RE: A staff player is a personal reflection of the brand. Our staff carries a wide variety of personalities and demeanors, however, they all carry traits that we embrace at Fourteen Golf — style, professionalism and hard work. Click here to see more discussion in the forums. 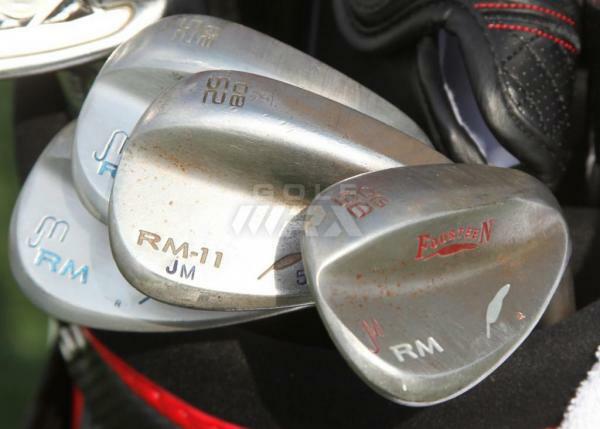 John Mallinger’s wedges, shot at the Honda Classic. 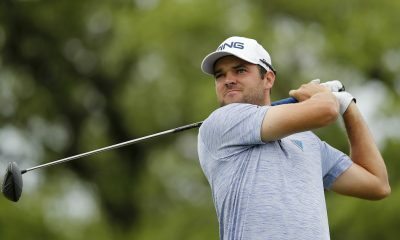 ZK: The newest member of Fourteen’s tour staff is John Mallinger, who is one of the most accurate players on the PGA Tour this year from inside 125 yards. 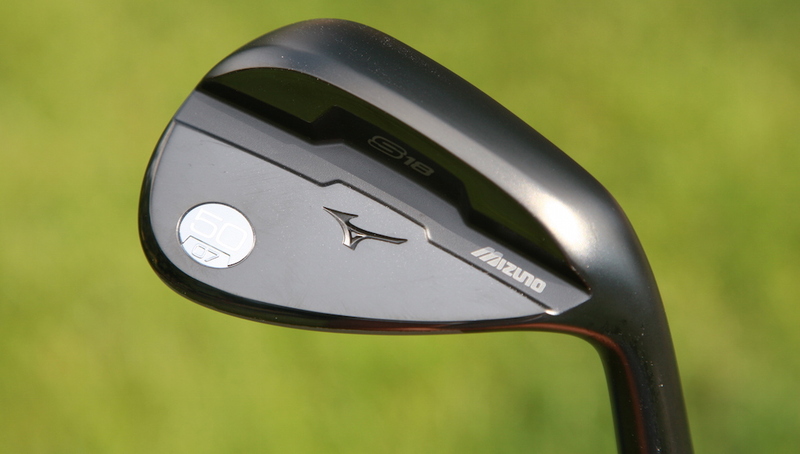 Staffers Arjun Atwal and Ryuji Imada are also very good wedge players. What can golfers learn from the clubs these players use and how they use them? RE: You’ll find a lot of uniqueness to how each of them play and practice. Mallinger has a very consistent routine, and his wedges are ground and bent to his eye specifically. 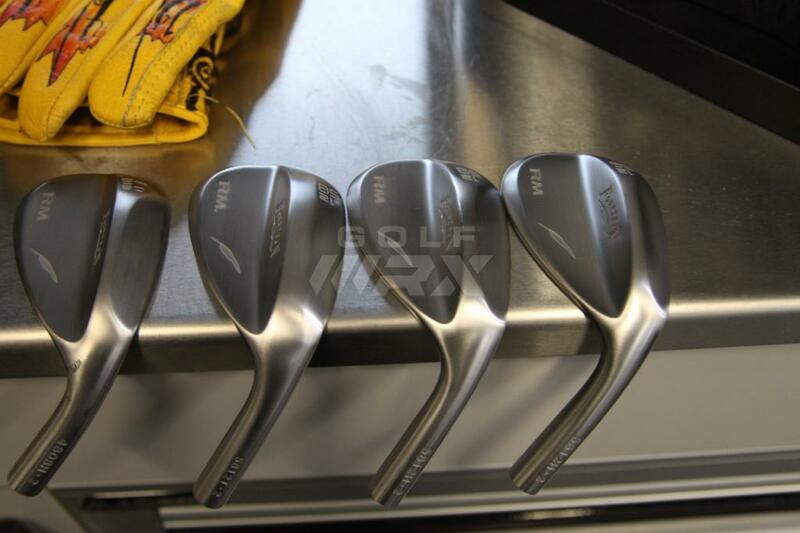 His clubs are bent to specific lofts that will fill the voids in the lower aspect of his bag, especially. 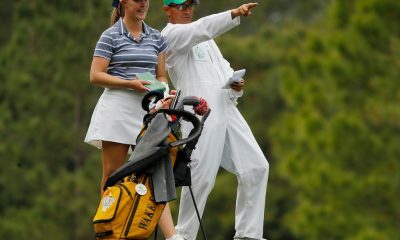 He is very particular with turf interaction and how the club appears at address. Atwal has a less structured approach to short game, hitting shots primarily with feel. 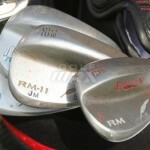 His wedges are made to be very versatile, allowing him to the ability to hit a wide variety of shots. 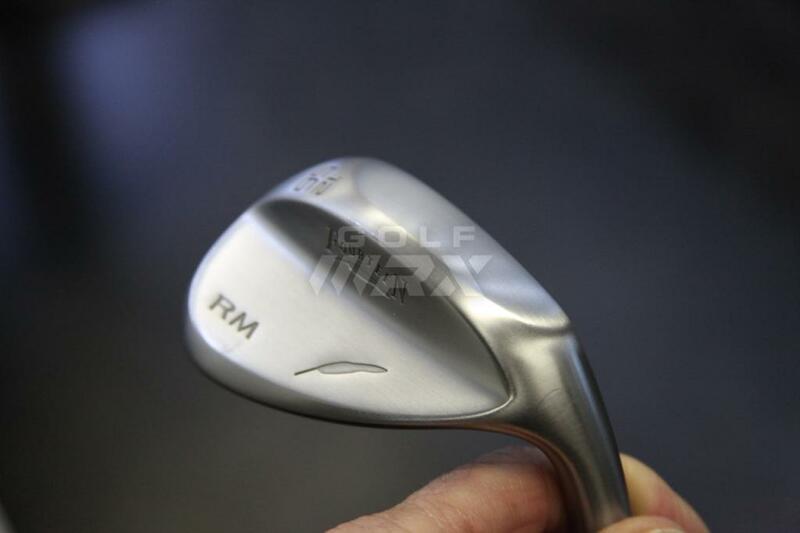 Imada possesses a tremendous amount of creativity and shot making skills in his wedge game. His wedges have been heavily modified and ground to get him the most versatile soles and bounce configurations of the three guys. 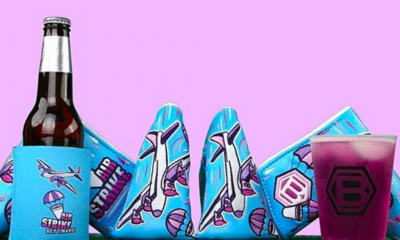 I wouldn’t recommend any of their wedges to the average consumer, because they’re too unique. 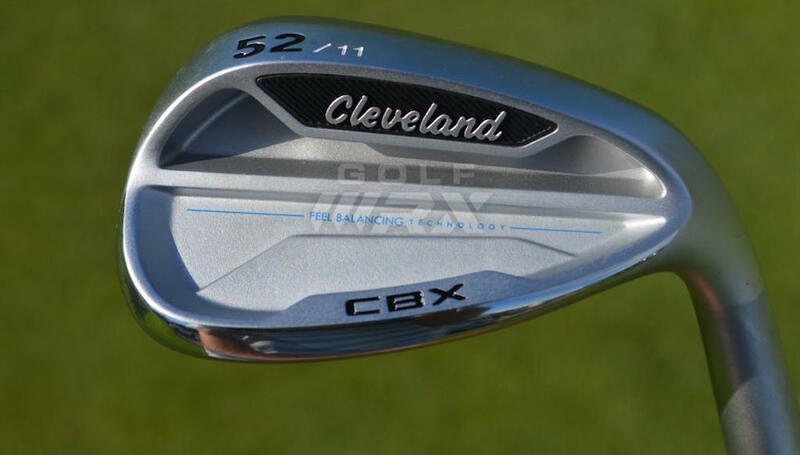 But what golfers can learn from them is that each golfer has to identify what they want out of their wedge games and pick a wedge accordingly. Ultimately, the product has to look good to them at address and provide performance for their level of ability. 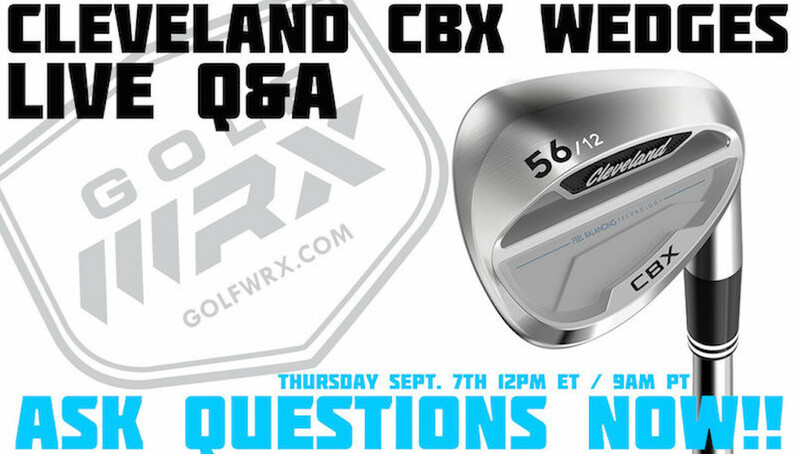 ZK: Throughout the years, there has been a lot of heated discussion in the GolfWRX Forums about the trade-off between cast and forged clubs. You’ve been grinding clubs for Fourteen’s Tour Staff for the last eight years, as well as a lot of other Tour players. What do they say is the difference between cast and forged? 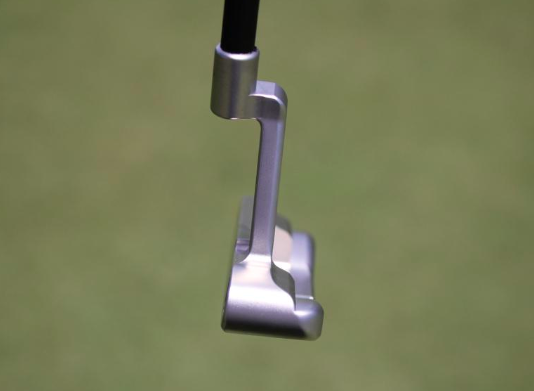 RE: The main feedback I’ve received is based primarily on feel, both the actual sensation of the strike and the enhanced feel around the greens. The majority of players feel that they have more control over both their distances and trajectory with forged clubs. 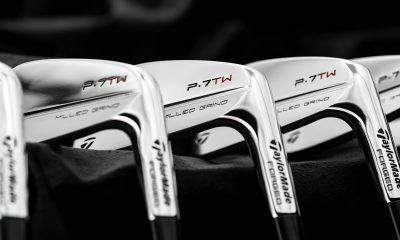 RE: From all of the testing, both in consumer and professional arenas, I feel that forged products tend to have a tighter dispersion and more consistent spin and trajectory on center-face strikes versus cast products. 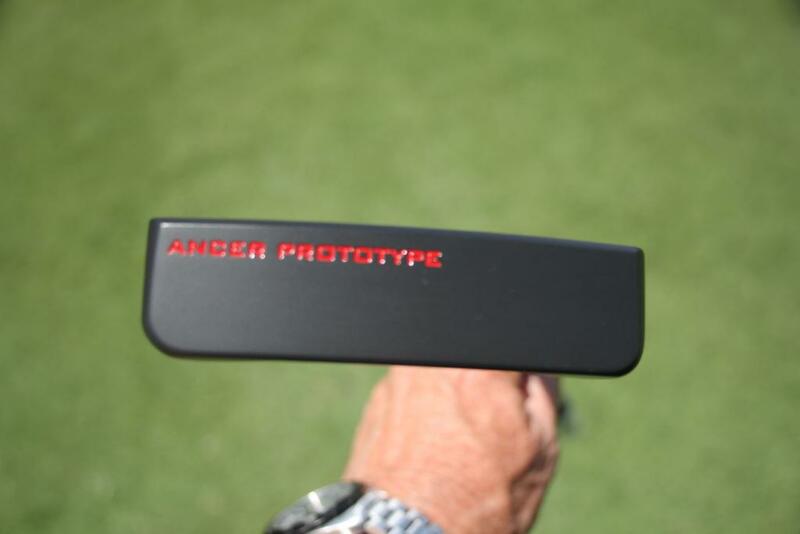 I’ve been fortunate enough to be involved in the development of both cast and forged products over the years. Casting has made tremendous strides in its process, feel and performance, and many cast clubs are great parts. 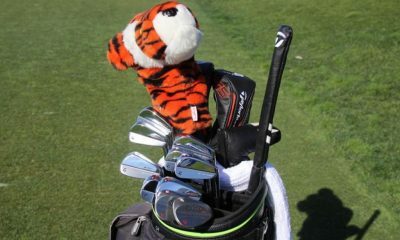 However, in a game of inches, I would prefer to have a club in my bag that has the advantage, no matter how small or large. 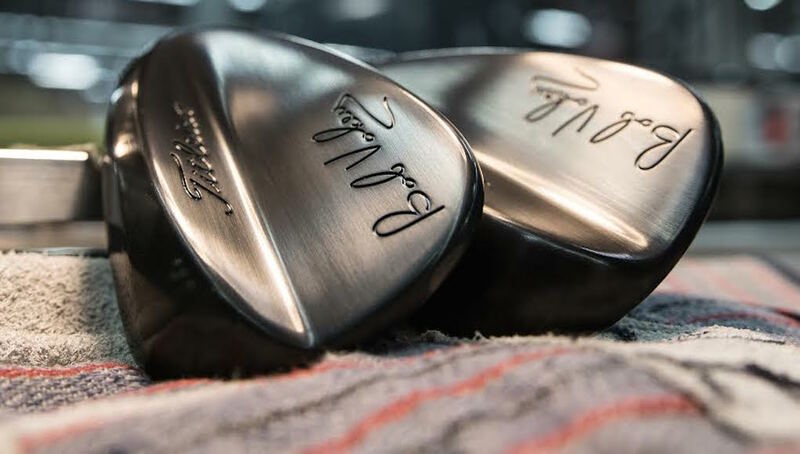 ZK: Fourteen seems limited is the amount of wedge grinds that it currently offers to consumers — only its 56- and 58-degree wedges offer more than one stock sole grind. Are there plans to release a wider variety? 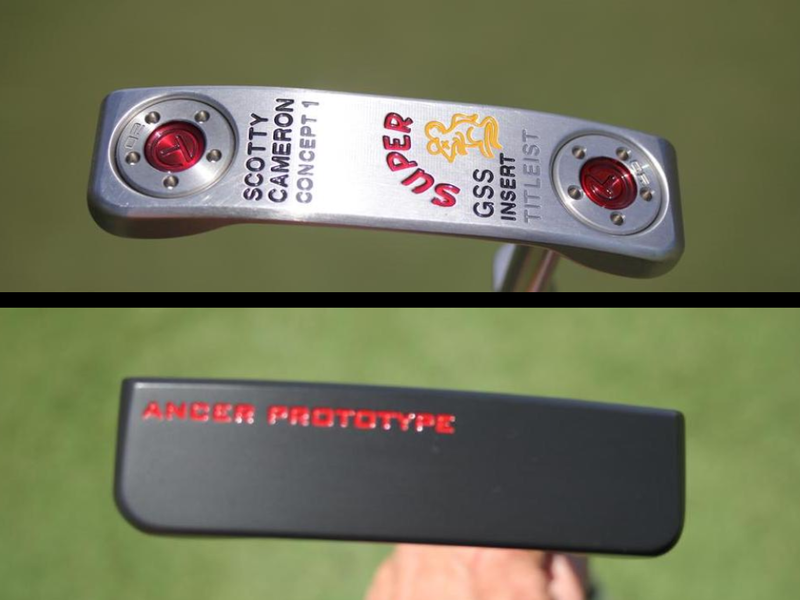 RE: The development process is ongoing, and we currently have several prototype models in play and in the testing phase on Tour. We believe that the Tour is a proving ground and want to assure that each product is Tour worthy prior before it is released to consumers. 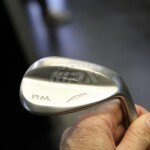 ZK: What’s more important in a wedge, fresh grooves or the proper sole grind? RE: Neither. 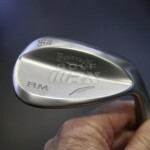 Center of gravity trumps them both, however fresh grooves outweigh the importance of sole grind. RE: Yes. Center of gravity is a constant, an imperative. Think about it. Grooves wear down, get dirty and collect debris. Plus, golfers have to take into consideration the type of ball (compression, launch and spin characteristics) they’re playing, the weather (which should include but not be limited to temperature, elevation, wind) as well as the type of lie, turf type, turf height and sub layers of turf. 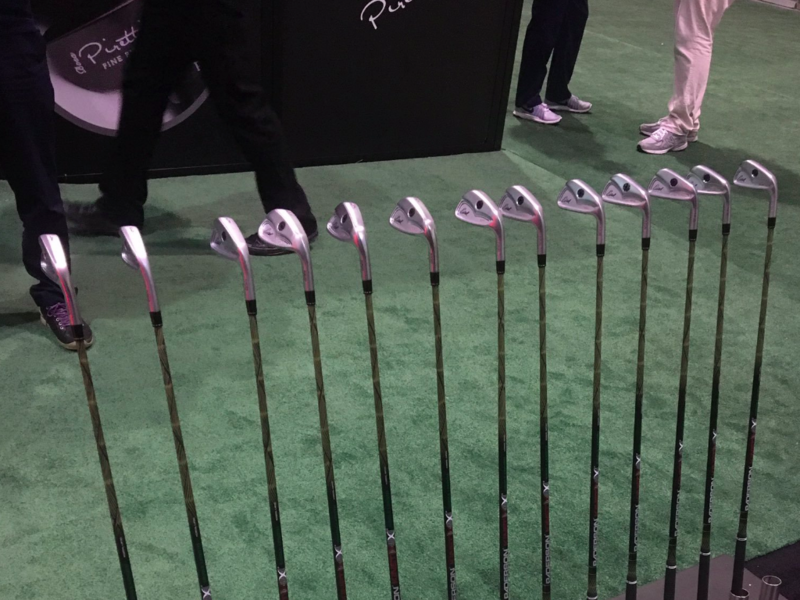 The sole and its interaction will change depending on ball position, angle of attack, face angle, lie angle, hand position and swing/shaft plane. In all of the scenarios, however, the club’s center of gravity hasn’t dramatically changed — it remains fairly constant. 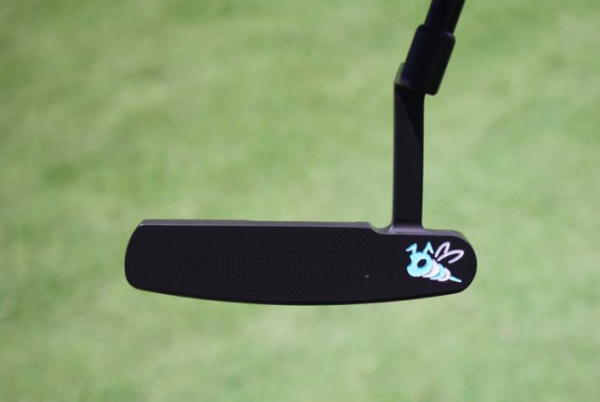 And golfers can create spin without grooves. 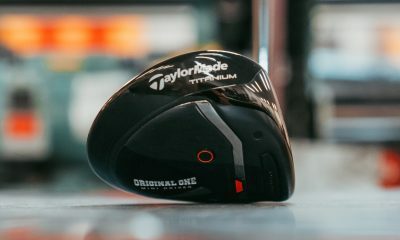 Just think of the spin you create when you hit a shot in the center of your driver, which probably doesn’t have grooves. 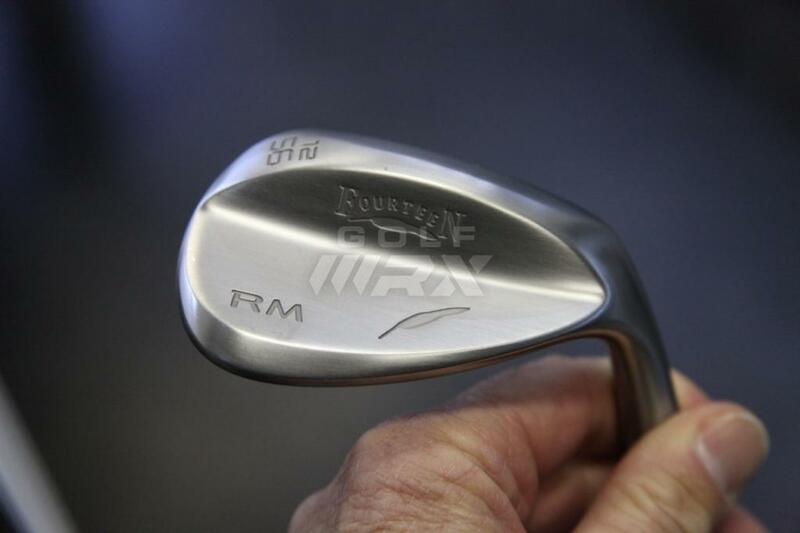 ZK: That being said, what should golfers look for when they’re buying a new wedge? 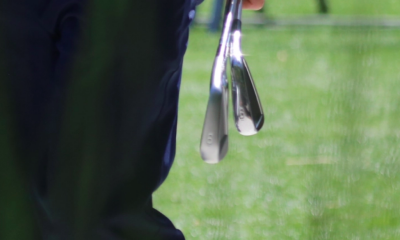 RE: Golfers need to identify the characteristics of a wedges that give them the most confidence and fills the voids in their games. Confidence goes a long way in creativity and execution — again, it’s a game of inches. From there, find the lofts that fill distance gaps and do not beafraid of bounce. 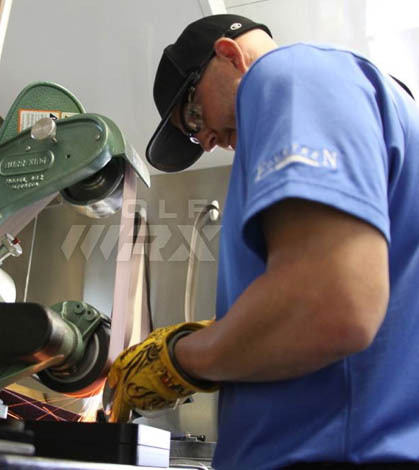 And always, when in doubt, ask your local PGA professional or certified club fitter. ZK: Thank you for your time, Rusty. 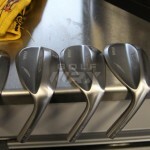 Check out the photos of the Fourteen wedges Rusty was grinding before he took them the wheel in the gallery below.